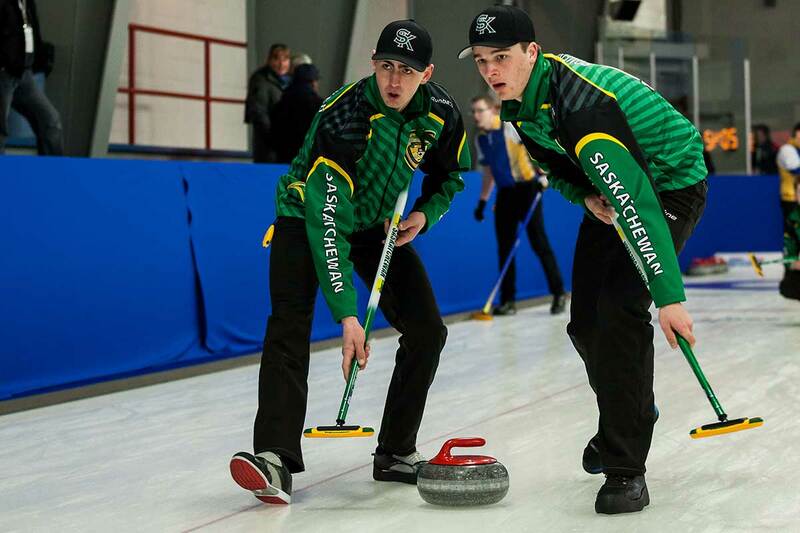 CURLSASK hosts an 8 team Provincial Championship, per division (Men’s & Women’s), with teams qualifying through a Region Playdown System. ii. At the Provincial Championship, the Men & Women will be an eight team triple knockout. iii. If a region berth is not filled, the berth will be awarded to the Region with the highest ratio of berths to entries. If ties occur, the berth will be awarded to the Region whose teams have the highest number of entries in the previous year. iiii. 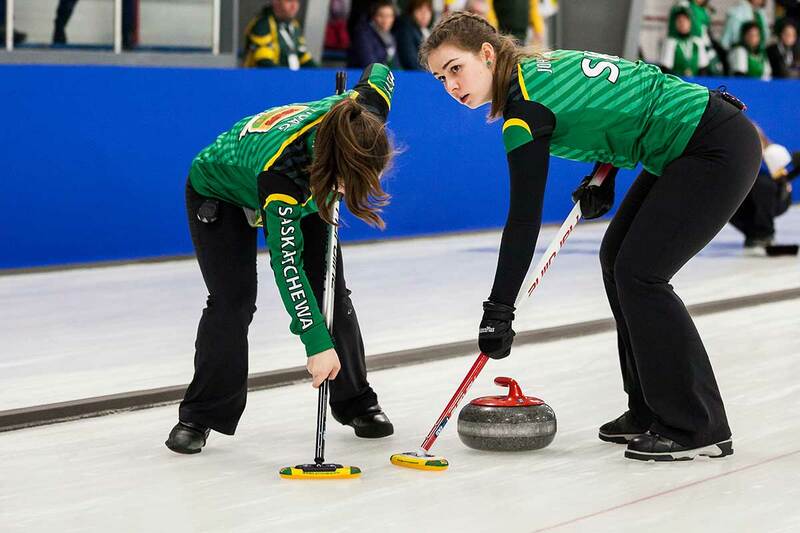 All games are played under CURLSASK & Curling Canada rules. All games are eight ends, with extra ends played to break ties. 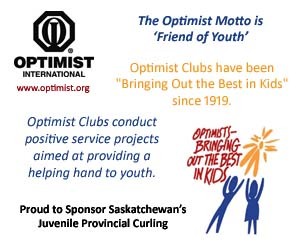 members of CURLSASK Affiliate Member Curling Clubs. team consists of four players and a coach (who is at least 21 years of age). iii. Open Recreational – Teams must be comprised of at least one player of the opposite gender. c. Teams can enter only one division and must declare which division at time of registration. 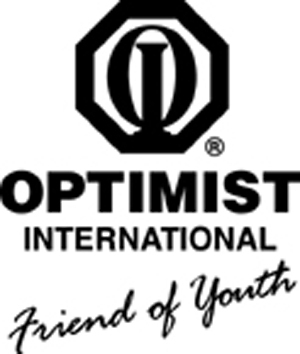 d. All competitors on the team must be members of an affiliated club in the same region. complete the Respect in Sport on-line training program prior to being granted coaching status. Participant fee of $7.50/player payable at the time of entry. a. The entry deadline for this competition is Tuesday 12:00 PM (noon), February 12, 2019.
member of a team in the U18 competition. qualifying through a Region Playdown system. Division (Men, Women, Open Recreational) to advance to the Provincial Championship. will be 2 pool round robin format, with top two teams from each pool advancing to a Page Playoff. 3. If a Region berth is not filled, the berth will be awarded to the Region with the highest ratio of berths to entries. ends played to break ties. Fourth end breaks of five minutes, will be in effect at the Region and Provincial levels. curling club licensed area shall be off limits to all competitors/coaches. Below provides information specific to the provincial host site such as hotel and ticket information. This information can also be found in the Competitor Guide under the Documents Tab. Parking: Underground or on Street ($15/day). *Hotel guests, please take your license plate to front desk upon arrival, and their will be NO CHARGE! Breakfast: 2 breakfast vouchers for the downstairs restaurant.